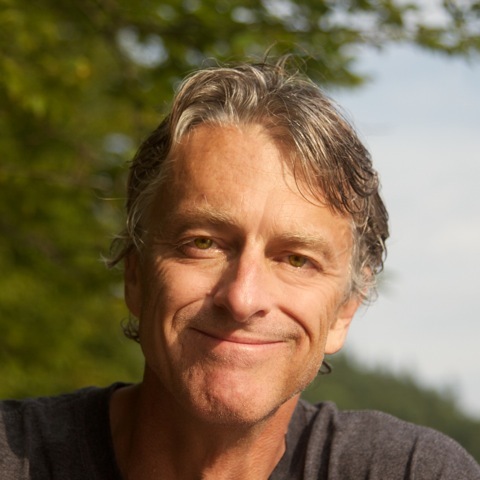 So says Tom Clynes, author of the recently released and captivating book– The Boy Who Played With Fusion: Extreme Science, Extreme Parenting And How to Make a Star. Taylor Wilson, a profoundly gifted child, built a working nuclear fusion reactor at the age of 14. Now, I know what you’re thinking. Stop right there. Just because you didn’t achieve nuclear fusion at 14 or even at 48, does not mean that you aren’t gifted. You probably, like Taylor, did complicate, confound and chaoticize your family’s life. At least some of the time. Am I right? Rainforest minds (gifted minds) don’t all become obsessed with science or produce astonishing achievements. But many do have “manic, metastasizing curiosity” like Taylor–along with a sense of wonder, idealism and a desire to make the world a better place. Giftedness isn’t one-size-fits-all. The rain forest is ridiculously complex. Taylor is clearly in the genius category and so he is, as Clynes describes him, “scary-smart.” You may not be so scary. Reading Taylor’s story, will be both inspiring and educational no matter where you fall on the continuum. What makes this book unique is that Clynes combines a compelling “coming-of-age narrative” with articulate well-researched advocacy for gifted kids. He’s a fresh, knowledgeable and welcome voice, especially for those of us who’ve been speaking out on this topic for years. I’d say these are the important questions. Not only that. Those of you who are parents will appreciate hearing about the numerous challenges Taylor’s parents faced and how they handled them. And it may soothe your own fears to realize that it could be worse. Chances are, your child isn’t storing radioactive materials in your garage. Taylor’s parents had to learn how to respond to his irrepressible enthusiasm for learning and for blowing stuff up. “Taylor has always been obsessed with things…Whatever he got interested in, he just went crazy with it, nonstop. Even getting him to eat was a big trick. Sometimes it still is,” said Kenneth, Taylor’s dad. And you’ll read how they struggled to provide him with an appropriate education, as do many parents of the rainforest-minded. Taylor’s parents wing it. Rather well. Taylor’s story just may get us there. To my blogEEs: I didn’t plan to write two book reviews in a row, dear readers. It just happened. I hope you’ve found them helpful. Let us know about the books you’re reading that have inspired you. And tell us if you read The Boy Who Played With Fusion. You’ll be glad you did! This post is part of a collection of great posts from parents of gifted kids and professionals. Click on the link or the image to read more! 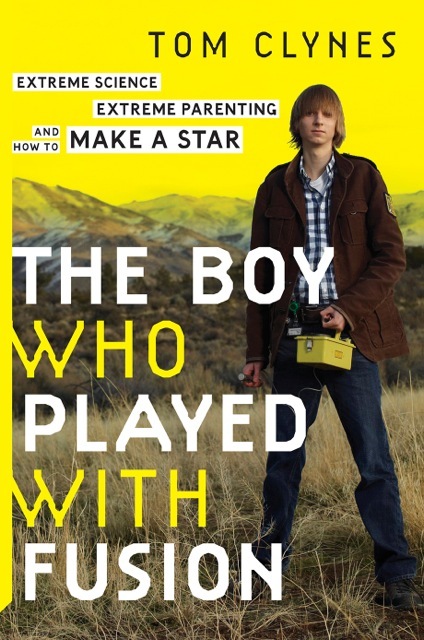 Tags: education, gifted adults, gifted children, parenting, The Boy Who Played With Fusion, Tom Clynes | Permalink. I will be an ostridge Paula, I can’t read these books 🙂 My son has recently been tested by somebody who has knowledge of the highly gifted and he is tested to be ‘beyond’ test results, which basically means his IQ can’t be measured according to the tests she used. He is not yet a science genius but I guess he could be, growing up. He is into space a lot, but also into saving all endangered species or caring for all children… and his little sister is on his level as well. She is more into art and music. For now. Thanks for sharing the reviews though. Since you reach many, I am sure it will help people who need it. Marlies, you might surprise yourself. My son is “beyond” results, too, and I quite enjoyed this book. There’s so much to say for following your child’s lead and trusting your parental instinct. I understand, Marlies. It’s important to take care of yourself. You might find, though, that this book is reassuring. Regardless, thanks for sticking with the blog! How to harness that raw talent into not blowing things up? Ha! That’s the million dollar question for some of us, isn’t it? I LOVED this book. I think we need to create a gifted book club and talk about it. I forced my husband to read it next (he had a few other books next in line) so that we could talk about it. Such good stuff. Yes. What I particularly liked was how Tom told Taylor’s story. So engaging. But then how he also included such important information advocating for gifted kids in school. Before writing this book, Tom wasn’t involved in the gifted education field, even though he has 2 gifted sons and is gifted himself. But he certainly got up-to-speed quickly. I’m hoping he’ll be a keynote speaker at the next SENG conference! This book sounds very interesting indeed, though I probably won’t read it as I feel uncomfortable being a ‘tourist’ into a child’s life when I know the book has no relevance for my own child. My daughter is into acting, music… and attends high school now where her talents seem embraced with enthusiasm by the arts teachers. One of the lucky ones. It’s fantastic there is such a book for parents of (extremely) scientifically inclined children though; I can only imagine how scary/overwhelming this situation could feel for parents trying to help their child navigate school and… life! On the note of books that have inspired me… I recently received the book ‘The Parent’s Tao Te Ching’ by William Martin. (This blurb on the back of the book describes it better than I ever could). Not a book to suit every parent I’m sure, but it felt like a breath of fresh air to me. Especially helpful as it is full of short, poetic reminders that through contemplation, can assist in ceasing the continuation of hurtful parenting habits. Thanks for the book recommendation, Ro. It sounds fascinating. Thanks for bringing the book to my attention. I’m happy the father took the time to write the book, and happy you took the time to share your review of the book. Thanks for reading the post, Wenda, and sharing your thoughts. There’s a lot in the book about advocacy for gifted kids. You might like to have it in your library to recommend to people you work with! I’ve been meaning to read this book; thank you for putting it back on my radar. It sounds intriguing, both in terms of parenting and advocacy! It would be well worth your time, Ann. And it’s entertaining as well. Tom is a great writer. Thanks for your kind words, Paula! I am looking forward to giving this book a read. It sounds like quite the journey! Paula, I haven’t read the book yet, but I have read about it and it sounds wonderful. Your review makes it even more compelling. And I appreciate how you point out that all gifted children are different and don’t have to be like the one in the book. Thanks again. Thanks, Gail. Good to hear from you. I think you’ll love the book and it could be a good one for some of your clients. Thanks, Paula, for putting this together — much appreciated! Great comments too! You’re welcome, Tom. I enjoyed writing it. And I’m sure there’ll be more comments over time. This is an inspiring story for parents that are wondering how to support unusual interests of their kids! I read your post and this book with both hope and regret. Taylor’s intelligence and drive is something as a society we should be outwardly supporting and nurturing–we need the “village” for intense kids like these. A child’s potential should never be squandered because it hurts the child and possibly society–yet, we do squander these talents. My regret is that I’ve personally seen what can happen when a gifted child with the drive, intensity and intelligence that so desperately needs understanding and nurturing is crushed in our schools–painful and heartbreaking, and possibly lifelong effects. I’ll stop there because it is hard to type through the tears. Thank you for an engaging and sensitive review of this phenomenal book! Oh, Celi, yes, it’s heartbreaking. I’m sending you hugs through the cybersphere. Thank you for sharing with us. I have read the interview with the author not too long ago. I think I will get this book for my next read. Great, Sarah. Let us know what you think. Thanks for commenting! Great book review, and I Love the way you use the “Rainforest mind” to distract adults from that fateful “G” word 😉 I can’t wait to get my hands on the book. Thanks! Paula — this book has been on my wishlist for awhile… it’s high time I read it. Thank you for sharing your thoughts on it; I appreciate them very much. I know you’ll enjoy it, Colleen.